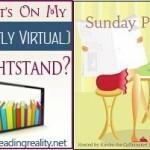 Review: A Galactic Holiday by Anna Hackett, Stacy Gail and Sasha Summers – Escape Reality, Read Fiction! 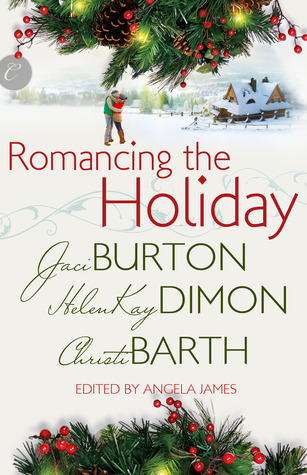 A Galactic Holiday is one of Carina Press’ annual holiday trifecta collections, along with Red Hot Holiday (reviewed at Reading Reality) and Romancing the Holiday (reviewed here at BLI). Maybe I should have called them holiday confections, because they’re usually pretty yummy overall. 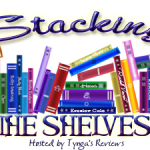 But the annual sci-fi collection (last year’s was the all-steampunk A Clockwork Christmas and yeah, I reviewed it too.) always has a slightly more heavy lifting to take care of than the contemporary anthologies. Because each story has to build its sci-fi world, justify its winter solstice holiday and tell its romance in the length of a novella. That’s a LOT of scaffolding to build and sometimes one element or another doesn’t quite hold up. Let’s take a look at what we have for this year’s out of this world holiday collection! 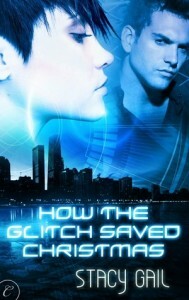 How the Glitch Saved Christmas by Stacy Gail was my favorite story in the collection. It not only embodied the spirit of Christmas in a hearwarming way, it also made the most sense as a science fiction story that extended the world we know. And the romance was both hot and sweet. First of all, I dare anyone not to be reminded of Steven Spielberg’s movie A.I. by the end of this story. And, I double-dare you not to get a little misty-eyed. But that’s at the end. Returning to the beginning. Chicago, although it is an utterly marvelous city, gets damnably cold in the winter. And it is entirely possible that it was named the Windy City, at least in part, for the windbags in city government, and not just the wind off Lake Michigan. Which, by the way, is brutal in the winter. The weather prediction of “cooler by the Lake” also applies in the winter, and it isn’t near as nice as it is is August. In the background to the story, it’s pretty clear that the inventor of body modification should have made them work better in sub-zero temperatures. He also should have figured out that just because it was illegal to force someone to accept body-mods, that didn’t mean that someone couldn’t be pressured beyond all reason to accept them. And yes, I could easily see it happening. Reina Vallette was a damn good cop. A fine detective. She just refused to accept body modification. She’d been dependent on machines once, when she was hospitalized under life-threatening conditions, and she couldn’t bear it psychologically. Also, her thought processes were too quirky to work any way except from her “gut”. (Gibbs on NCIS comes to mind). So the CPD made her the poster girl for insubordination. Edison Wicke, on the other hand, is the golden boy. He’s a walking toaster, in Reina’s eyes. But still a damn fine detective. (Also a damn fine looking man!) So when someone breaks into an apartment in the Projects and delivers presents, Edison requests Reina as his partner. He had his eye on her when his eyes were just human, and now, he wants her even more. She’s unique. Better still, their styles complement each other. He’s data driven, and she’s pure instinct. New school plus old school. But it takes a glitch in the system to show them that underneath their differences, they are both the same people they were before he got body mods, and before the system started busting her down the ladder. They’re the best detectives that CPD has. And they’re the best for each other. But can they save the little glitch that brought them together? I give How the Glitch Saved Christmas 5 frozen stars with the sun glinting off them for sparkle. 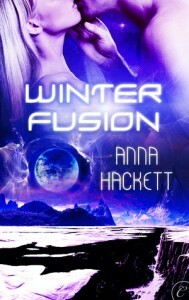 Winter Fusion by Anna Hackett comes in a close second for me in this collection. The thing about science fiction short stories, at least for me, is that there is so little time for the world-building, the author needs to have something familiar to use as a short cut. Ms. Hackett tells a Prime Directive-type story, with a merchant empire Federation instead of the slightly more militaristic one we’re used to. And the traders Savan Bardan and Brinn Fjord are part of the very recent dropping of the embargo on high-tech goods between Bardan’s Trade Guild and Fjord’s more primitive ice planet of Perma. Her father died of a disease that was eradicated on Guild worlds, but membership came one year too late to save his life. Bardan’s decision was the one that kept Perma out of the Guild. Because high-tech too soon leads to very bad decisions. Sort of like lottery winners on spending sprees, only with planetary-wide ecological disaster-type consequences. All Bjorn knows is that her father is dead and that it’s Bardan’s fault. Now he’s back on Perma, because the ice miners have found an unsynthesizable high-yielding energy resource that his planet needs. And Brinn is the Perman trader he has to negotiate with to get it. However, someone is willing to kill both of them to make sure that Rendar doesn’t get the energy crystals. While they are running and fighting together for their lives, Savan Bardan and Brinn Fjord are forced to strip off the masks they wear in public. They have to rely on each other to survive. Bardan learns the personal cost of his decision to keep Perma out of the guild. The reason behind Brinn’s bitter rivalry. And Brinn learns the reason behind Savan’s judgment–the last time he gave a planet early admission, they ruined their world. And the reason there’s always been such heat in their negotiations? Just another way to conceal how they’ve really felt about each other all along. But first they have to survive whoever is stalking them. In the middle of a Perman winter. Without gear or shelter. Winter Fusion is a very good take on the “enemies into lovers” trope. Very, very good. With a slice of “poor little rich boy” thrown into the mix. I give Winter Fusion 4 dark stars. Galileo’s Holiday by Sasha Summers was a cute story, but it was also the shortest story in the collection and I kept wishing there were more of it! I just didn’t have enough of the world-building to quite get the reasoning behind the hero’s actions, but the love story and the settlement definitely worked. Riley is a tugger. A lone ice miner with a tiny, one-woman ship, like her mother and her grandmother before her. Raiders destroy her ship, lucky for her while she’s planetside mining ice. Even luckier for her, a mysterious man leads her to a settlement. That mysterious man, Leo, introduces her into the life of Galileo, just before their winter Holiday, and what a life it is! Riley has lost both her home and her livelihood in one fell swoop, but the settlers take her in and make her welcome. Her ability to fix every bit of electronics tech they have doesn’t hurt her cause one little bit. Especially since their security grid is about to go down. That grid keeps the cryptids out. (Yes, I did say cryptids.) Big ugly carnivorous bug-eyed monsters. The settlers can use her skills, but it’s Leo who fascinates her. In a jumble of new experiences (eating real food, wearing cloth instead of space gear) Riley’s never felt anything like what she feels for Leo. And it seems to be mutual. But she knows it can’t be permanent. He’ll go back to his ship as soon as the snow clears, and she’ll have to find a new place for herself. Until the Raiders come to take Leo, and steal the cargo of medicines he’s been hiding. Leo sacrifices himself to save her. Then the Raiders want to take her. And Riley has to decide what sacrifice she’s willing to make. As I said, the story of Riley’s discovery of a life outside her tugger, and the life of the settlement, worked. The parts that drove me a bit nutty were the lack of background about the raiders and the outside galaxy. There were hints of a bigger picture that I wanted, that would have made Leo’s reason for being with the settlers make more sense, that I just didn’t have. I want the rest of this story! I give Galileo’s Holiday 3 1/2 icy stars.